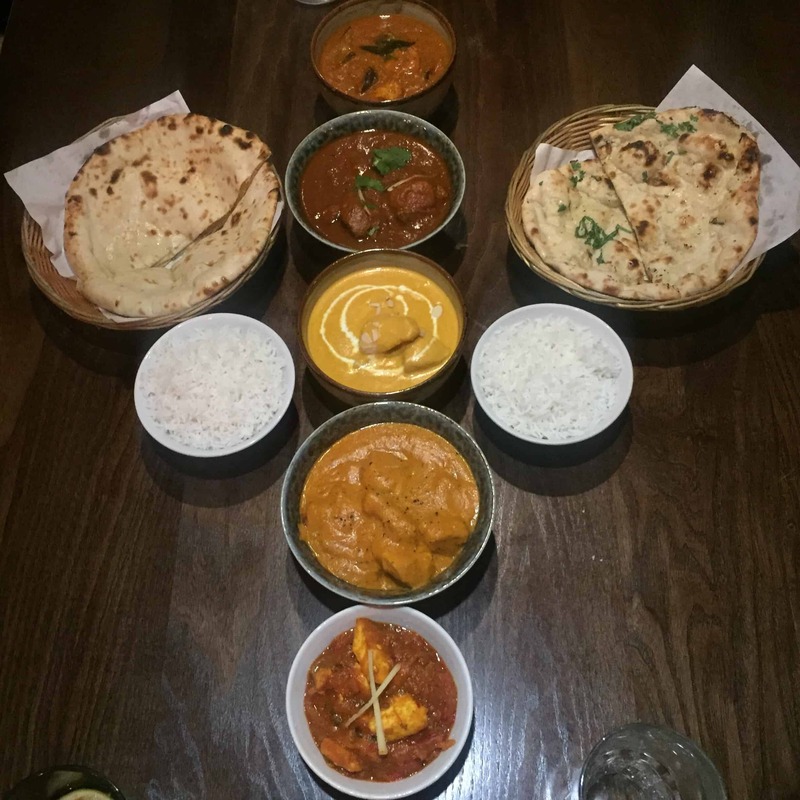 Est India restaurant in London Bridge offers traditional Indian dining with a twist of originality and flavour. 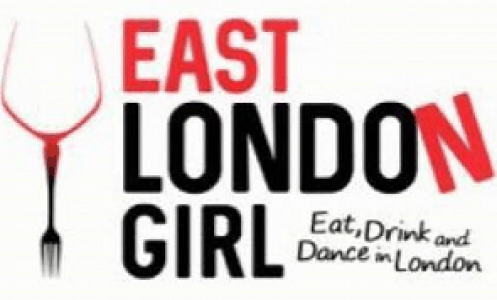 Located near Borough Market, the restaurant has a homely feel with a number of booths for small groups. 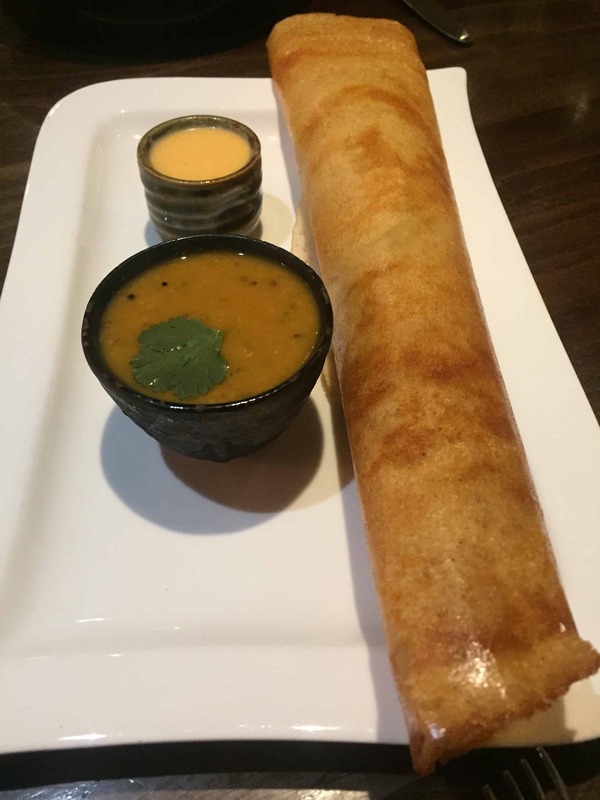 Particularly with the small plates, the focus is on Indian street food including dosas and naan rolls. The main menu is a mixture of regional specialties and the staff are very happy to answer questions, offer suggestions and accommodate changes to the menu. 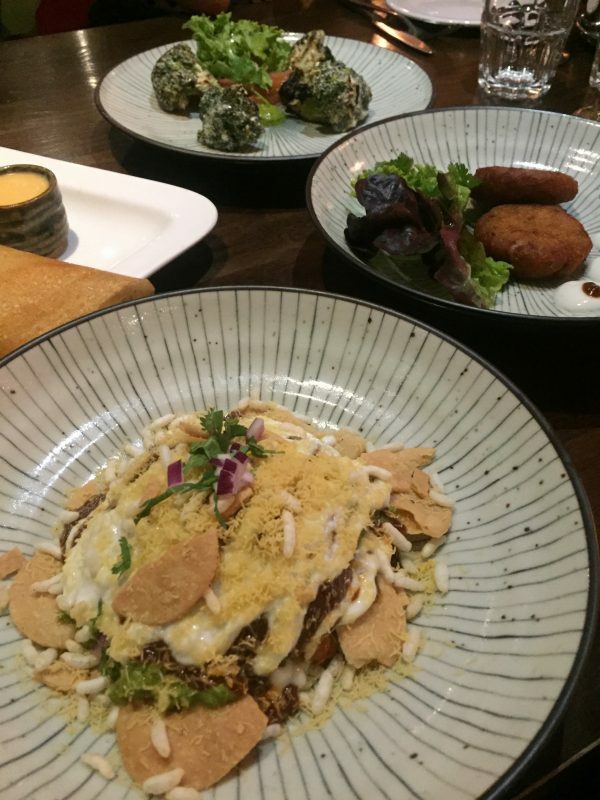 We had a selection of starters to begin with including the (1) MAKAI ALOO TIKKI: deep fried, corn and potato cake (2) PAPRI CHATT: a medly of crispy wafer, puffed rice, onions, coriander, chilli, tamarind sauce and yoghurt. 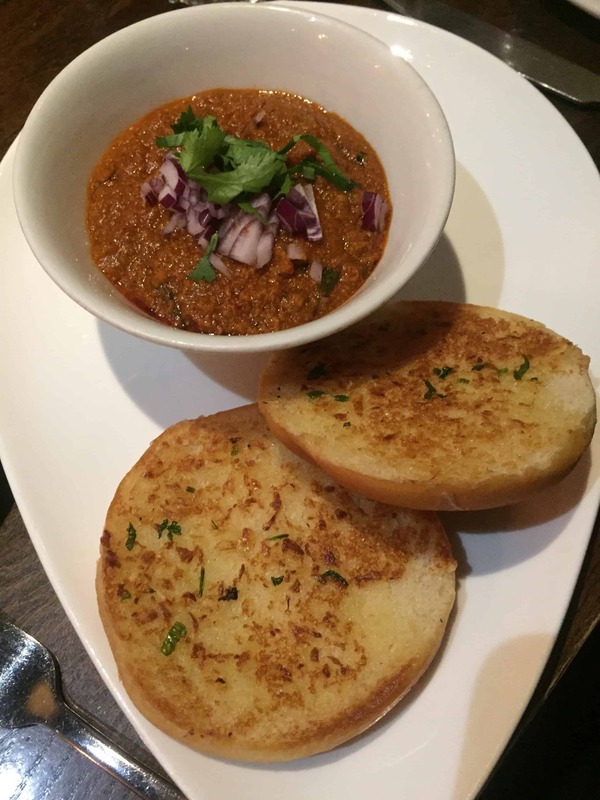 (3)KEEMA PAV: minced lamb served with pomegranate seeds along with a buttered pav bun and (4) DOSA with sambar and coconut chutney, which is a thin rice and lentil crepe filled with vegetable and potatoes. Oh and, of course, some papadums. These small dishes were my favourite part of the meal and I thoroughly enjoyed tucking into the selection – I genuinely loved all of the dishes, in particular the Keema Pav and Dosa which were so delicious and flavoursome. 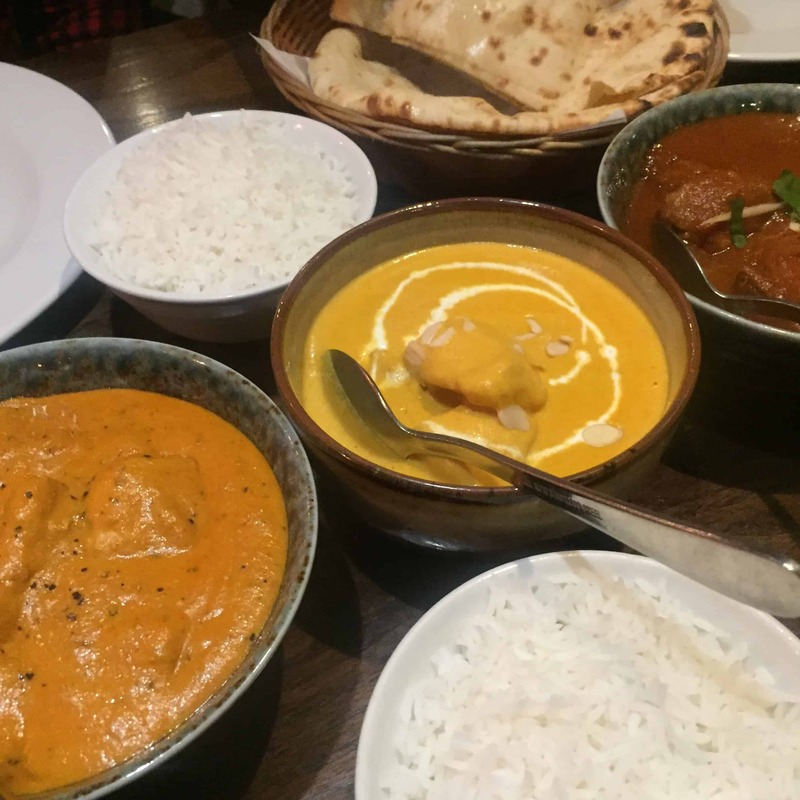 Following the starters, we chose a mixture of curries to sample -Bengal prawn curry, Chicken Korma, Railway Lamb Curry and Chicken Kali Mirch – and of course peshwari and garlic naan. All dishes had a decent amount of meat / fish in and tasted fresh and tasty. Est India has only been open for around 3.5 years compared to its sister restaurant, Mango Indian, which has been in business for 12 years. Both restaurants offer something different but the menu at Est India appealed more to me. 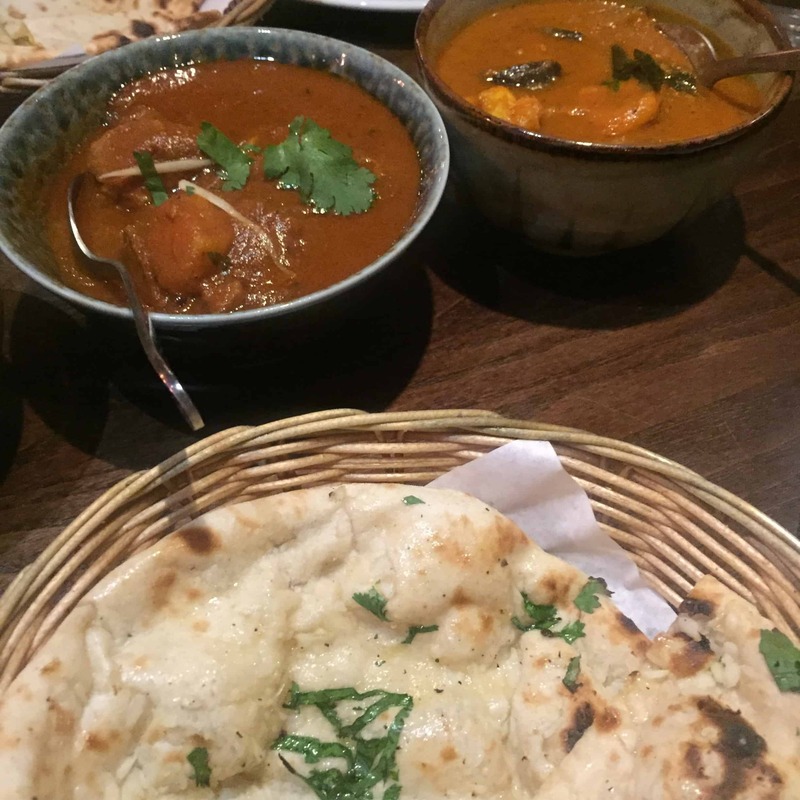 It was also very reasonably priced for the quality you receive – definitely a restaurant to visit in London Bridge. Also check out the express lunch menu with selected curry, rice and vegetable of the day for only £7.95!